Nokia has been busy working on updating its phones with Android Pie, even its Android One smartphones have started receiving the software update. Now, the company’s Nokia 7 smartphone in China has received the Android 9.0 Pie update. The China exclusive smartphone started receiving the latest Android update today. The Nokia 6 in China also received the Android Pie update just a few days ago. As per the changelog uploaded by a user, the Nokia 7, along with the Android Pie features has received a number of other features like Dual-SIM Dual-VoLTE support, HD calls support, an optimised battery management system. Along with that, the phone has also been updated with aptX and aptX HD for Bluetooth audio, a redesigned UI for the camera and a redesigned app store. The update has already reached many units and will reach the rest of the devices soon. 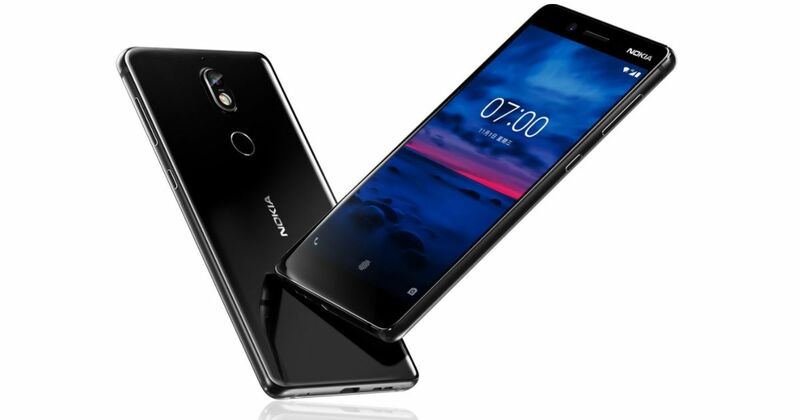 The Nokia 7 was launched in 2017 as a China exclusive smartphone. The smartphone features a 5.2-inch display with a 16:9 aspect ratio and a Corning Gorilla Glass v3 protection. The Nokia 7 is powered by a set of 2.2GHz, Cortex A53, octa-core and a 1.4GHz Cortex A53 quad-core processor, which is placed on top of a Qualcomm Snapdragon 630 chipset. The smartphone offers 6GB of RAM and 64GB of storage, which can be extended up to 128GB using a microSD card. The device features 16MP primary camera and a 5MP front camera and is fueled by a 3,000mAh battery. A fingerprint sensor is placed below the rear camera module of the Nokia 7.